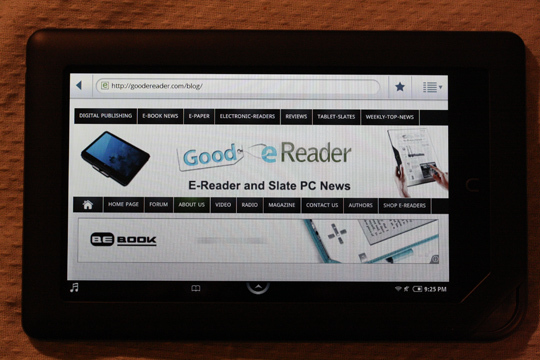 Barnes and Noble issued a new firmware update for the seminal Nook Color today that offers a number of enhancements to NOOK Newsstand. With the new NOOK Color 1.3 software update, you shall be able to enjoy special edition versions of Time Inc.’s People, Fortune, Sports Illustrated, and Time, and Meredith’s Parents and Fitness magazines, all optimized for the device and featuring the current print edition, plus a host of built-in extras. Print subscribers to People, Fortune, Sports Illustrated, and Time can enjoy these titles on their NOOK Color at no additional cost. The essence of the new firmware update is a richer reading experience with magazines on the Nook Color. These are considered Nook Magazine special editions that offer video, audio, podcasts, animations, photo galleries, and more, right in the magazines. You can think of it as enhanced magazines that offer richer features. With these embedded multimedia enhancements, magazine lovers will be able to watch celebrity interviews, see the week’s sports highlights, listen to podcasts, take quizzes, get how-to’s on arts and crafts, and even learn new exercises with fitness videos to stay in shape. These special editions also feature a portrait-centric reading experience that’s fun and simple to use, as well as the ability to get to desired content quicker. Just tap the article promoted right on the magazine cover or in the table of contents. The special editions with magazines are just limited to around six with the latest firmware update, but towards the end of the year you can expect to see more content. Better Homes and Gardens and other magazines are due out around December. The new updates will be pushed over WIFI later on this week, but if you want to download it right now, you can download at www.nookcolor.com/update.